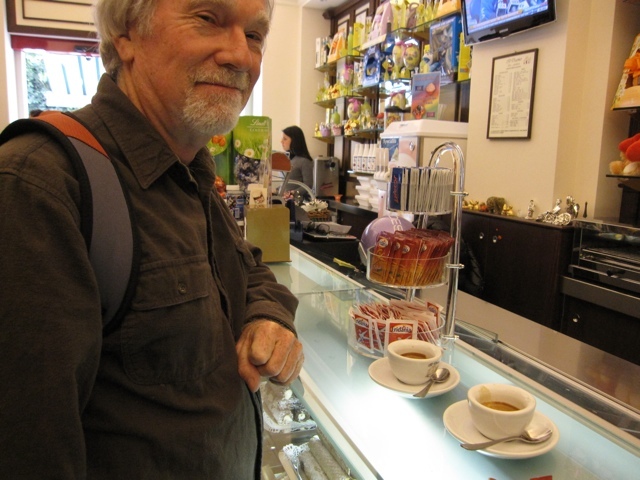 Being gauche Americans we order cappuccino any time of the day. An Italian would only have it in the morning if at all. 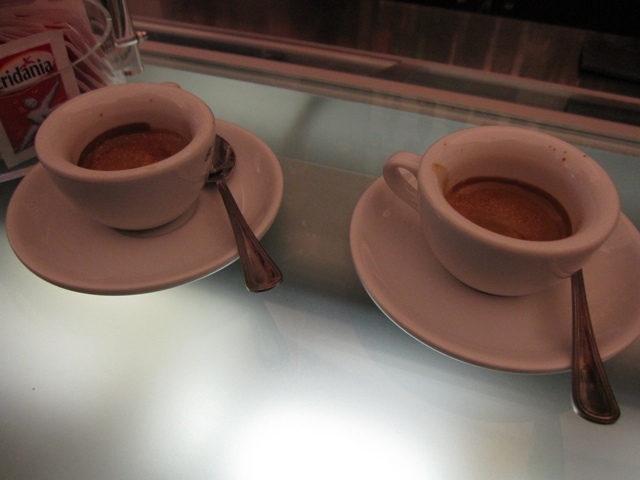 We decided to try the caffe, straight espresso, looks a bit like mud. 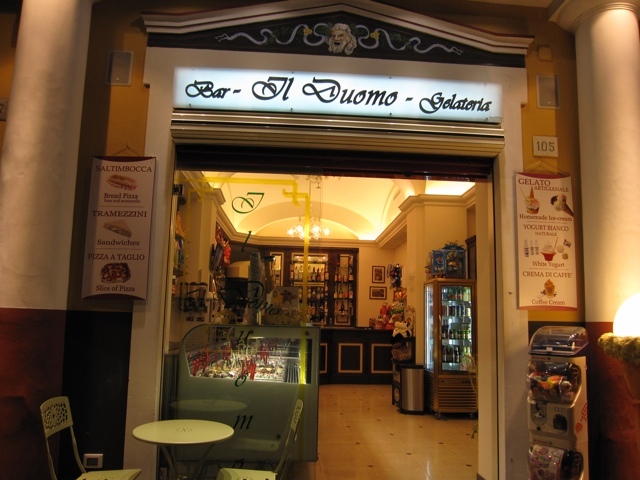 This was the only time we tried it (at the El Duomo Bar).